Lessons available at Erik's Sanibel studio. Sign up now for lessons in 2018! NEWS: My new choral composition “Sanibel Under Snow” will be premiered on December 12 in Schein Hall (BIG ARTS Sanibel) as part of the holiday concert presented by the BIG ARTS Community Chorus. I will be at the piano as the choir accompanist. My Rhapsody for violin, viola and piano will be premiered next March as part of the Sanibel Trio’s performance at Shell Point. Violinist Renata Arado and Violist Espen Lilleslatten join me on the stage. 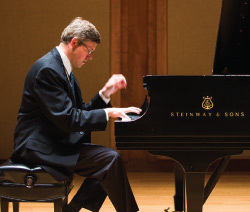 Pianist and musicologist Erik Entwistle has been performing and teaching for over 30 years. 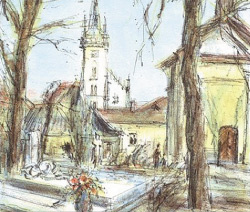 His critically acclaimed recordings feature the music of Czech composer Bohuslav Martinu and he is an award-winning writer on music history. 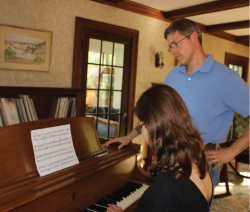 Erik offers private piano lessons for children, teens and adults at his Sanibel, Florida studio.